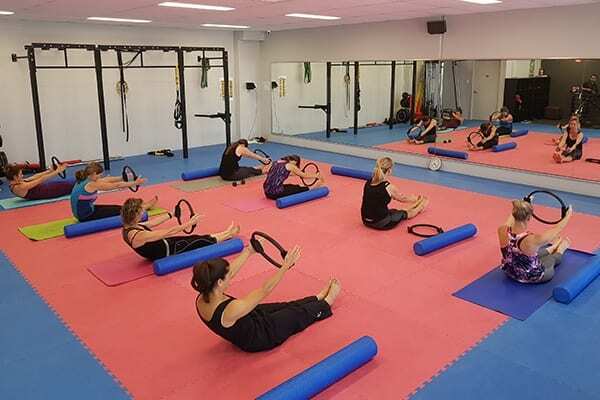 Our Group Fitness and Pilates classes are designed to get you in the best shape of your life by rapidly improving your fitness, conditioning, strength, muscle tone, flexibility, posture and balance! This is done through intense classes that always focus on the correct technique in order to help you improve your concentration, physical coordination, balance and increase your body awareness. Premier Academy’s motto is “Fitness with Meaning”! You don’t have to be in shape or fit, there is no prior experience necessary! If you would like to experience the excitement and challenge of our Pilates classes, we invite you to book a trial session. 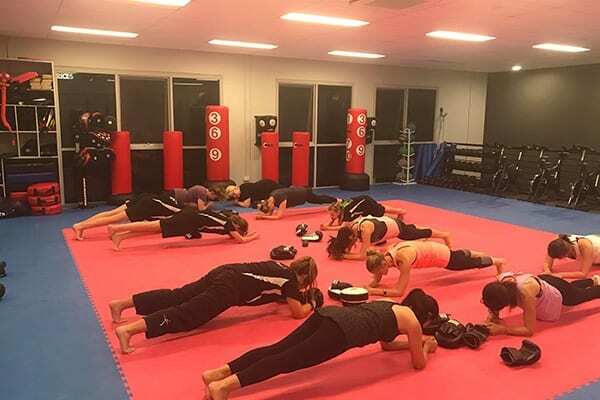 Premier Martial Arts and Fitness Academy’s Pilates classes are designed to get you in the best shape of your life by rapidly improving your fitness, conditioning, strength, muscle tone, flexibility, posture and balance! This is done through intense classes that always focus on the correct technique in order to help you improve your concentration, physical coordination, balance and increase your body awareness. Our Pilates classes are also perfect for stress management and relaxation! Our Academy’s Pilates classes are conducted by fully qualified instructors who will not only get your core strong and improve your flexibility, but also teach you the correct techniques for movement, balance, posture, and breathing. Each of our members is treated individually, and is pushed to the best of their own ability and potential. You are never compared to anyone else. Our instructors will guide and motivate you to be the best that you can be! Cardio & Strength circuits to get you in the best shape of your life! 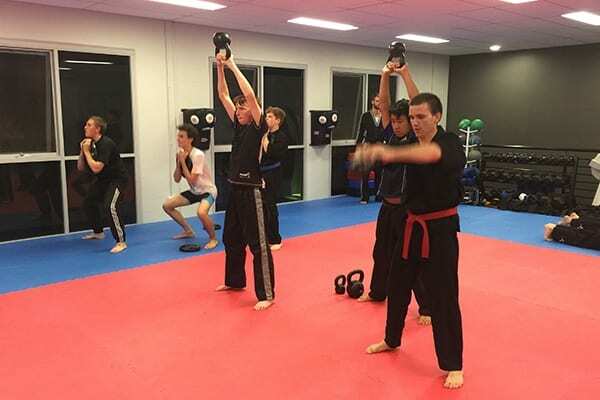 Premier Martial Arts and Fitness Academy’s Group Fitness classes are designed to get you in the best shape of your life by rapidly improving your fitness, conditioning, strength, muscle tone, flexibility, posture and balance! This is done through intense circuit-style classes that always focus not just on getting you fit fast but also on the correct techniques to make sure it is done in a safe manner. These sessions will also help you improve your concentration, physical coordination, balance and increase your body awareness. Our Group Fitness classes are also perfect for stress management and relaxation! 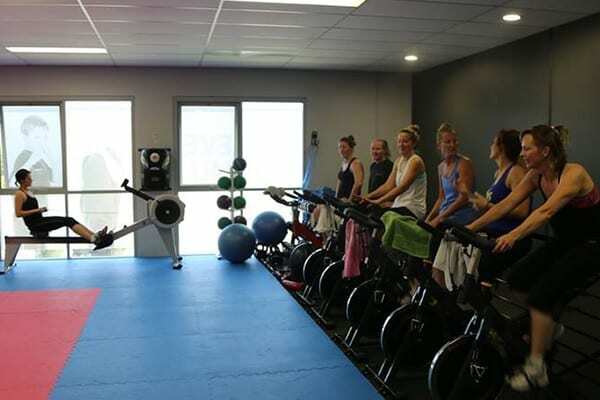 Our Academy’s Group Fitness classes are conducted by fully qualified instructors who will not only help you to get the best out of every session but also teach you the correct techniques for each exercise. Each of our members is treated individually, and is pushed to the best of their own ability and potential. You are never compared to anyone else. Our instructors will guide and motivate you to be the best that you can be! Premier Academy’s motto is “Fitness with Meaning”! You don’t have to be in shape or fit, there is no prior experience necessary! If you would like to experience the excitement and challenge of our Group Fitness classes, we invite you to book a trial session.